A wedding is incomplete without flowers, and that’s how integral wedding flowers are for your big day. Handcrafting those beautiful centerpieces, dainty tiaras and lovely bridal bouquets add to it not just your time and effort but your love, passion, and elegance. Well, as often quoted, it’s easier said than done. But hold on, it ain’t impossible. However, it’s better to expose yourself to a couple of general dos and don’ts before you begin. Here are a few particulars you may want to keep in mind when you’ve decided to DIY your wedding flowers. Deciding on a theme is perhaps the ideal beginning to plan a wedding. Your theme can be centered on color patterns, a specific mood or a season or even a destination! The key to selecting your perfect theme is ensuring the feasibility of sourcing all the things you would require to bring together your dream theme. You might also want to consider the venue, whether, at the time of the year and general ambiance, you wish to create at your wedding. And most importantly don’t forget to look up your budget! Once you have finalized a theme of your choice, the next logical step is to choose the right blooms. The basic checklist for your flower selection must be inclusive of the colors, the availability, sizes, and fragrance of the flowers. Also, verify if the flowers would withstand the weather of your place. It would be wise to choose flowers which have a longer life when stored well. Make sure to pay attention to the floral combinations you have decided. A mismatch of totally unrelated colors or sizes of flowers might end up looking absurd. Having chosen the blossoms, you must find out how many you would be requiring? For bouquet arrangements, you decide the numbers of flowers required based on the stem count of every specific flower. To establish the desired size of your wedding bouquets and check up the stem count to conclude on an approximate figure. Nevertheless, always order some extra flowers in case you encounter a few faded or damaged ones. ‘When to order your flowers’ would be the natural upcoming question. The answer to this must be tailor-made to your choice of flowers. If you’ve picked an exotic species which has to be flown in from afar or is difficult to secure at that time of the year, you must make an order in advance. If you are going to have your blooms grown especially for you, do give your vendor ample time to fulfill your order. 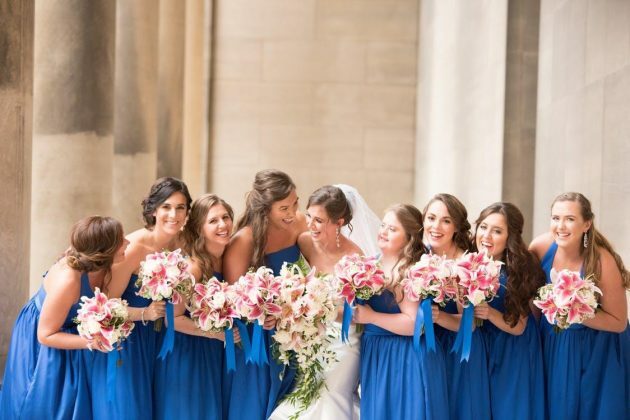 You don’t want to be running out of flowers when your wedding day is just around the corner. By now you must have also thought about how you’re going to preserve your flowers. In general, flowers require extra care in preserving their freshness. Ensure you store them in a temperature ideal for the blooms you’ve bought. It might not be a bad idea to use a homemade solution with three tablespoons of sugar and two tablespoons of white vinegar in a liter of warm water. It is believed to keep the flowers fresh and alive. Where you buy your flowers from is decisive of the overall quality of your floral arrangements. Before placing an order make sure that the vendor is capable of meeting your requirements to the fullest and shall never put you in a position of listening to excuses. Confirm with the vendor the availability, perfect shade of the flowers and timely delivery of your order at a price that’s worth it. Buy wholesale flowers and make sure you are always ready for even an urgent event. Having an idea of the whole picture. So once you are done with the hassle of procuring the flowers and other embellishments, take time to imagine at the back of your head the setting you wish to create at your wedding. Pay attention to details. Mark every space you wish to beautify with your flower bouquet and arrangements. 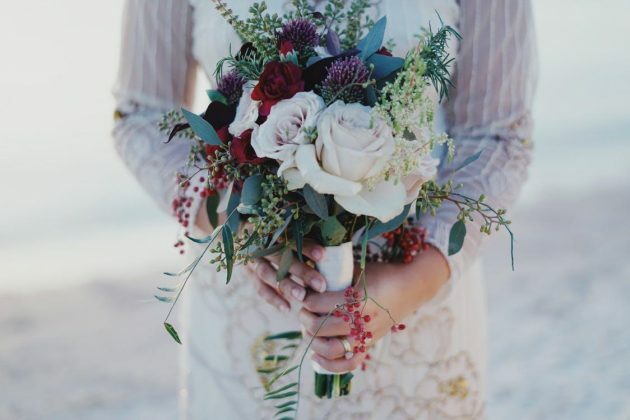 Design your bridal bouquet with your personal favorites. You could also plan on a pretty tiara for your pretty little head! Be cautious with allergies. Flowers could cause allergies such as itching, irritation or other skin ailments. You could try avoiding flowers with a lot of pollen, especially naked pollens. Nobody wants to risk an irritable skin on their much awaited big day. You might also want to check up fragrance allergies in case the smell of any flower is going to be particularly nauseating. 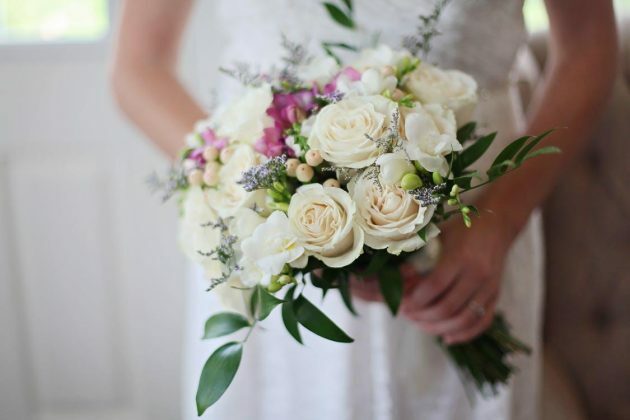 It is essential to make sure the stem of your bridal bouquet or any handheld bouquet for that matter is free of thorns. Do look up for different shades and kinds of leaves to go with your flowers. Leaves add their share of charm to the bouquet. You could either ask for your flowers to be delivered with their leaves or pick up leaves from your garden, whichever suits you best. The right shade of green and beautiful shape of the leaf can intensify the appeal of your floral arrangements to a great extent. Invest quality time in selecting the embellishments for your flowers. You can think of the fabric to wrap your bouquet, push pins, ribbons, laces, vases…well, the list is endless. These tiny little ornamentations would add so much depth and elegance to your arrangements. So do make sure your embellishments are in congruence with your blooms and your theme. With all the above in place, there is significant scope for your wedding theme to come alive and stay alive in your memories and pictures forever. I hope that these pointers help you in planning your dream wedding DIYs in a smooth and efficient fashion. And here comes the final piece of information about Wholeblossoms who would lend a much-needed helping hand with the flowers you would be requiring. Wholeblossoms deal in wholesale flowers of a wide variety from across the globe. An order with them comes with a guarantee of no compromise in quality. They have round the clock delivery working to bring you fresh flowers at your doorstep. What more? Do visit the website. Happy DIYing! !